You’re an adrenaline junkie. Since you’re always seeking new experiences and exciting thrills, a trip away from home is more than a chance to relax—it’s a chance to challenge yourself with new adventures. Panama City Beach offers all the excitement you crave. You like to chart your own course. Why not enjoy a day on the water with an unguided jet ski tour? Feel the Gulf spray and the warm sun as you sail across the waves on a Yamaha Vx110. Cruise to nearby Shell Island, where dolphins frolic close to the shore in the famous emerald green waters. You never were one to keep your feet on the ground—why start now? Book a parasailing excursion through Adventures at Sea. Once you strap in and leave the earth behind, gravity becomes a suggestion rather than a rule. Let the noise of the world and all its cares recede below you. You love to seek out a new perspective, and you’ll like what you see soaring high above the beach.The brilliant, sugary white coastline and beautiful turquoise waters of Panama City Beach offer a heavenly view. You’re often accused of being a little wild. Book a airboat tour through Airboats Gone Wild and explore a labyrinth of creeks, islands, and marshes inaccessible to other modes of transportation. Feel the wind in your face as you tear through the water at speeds approaching Mach 10. They’ll take you off the beaten path where the wildest of wildlife dwells. You love to see the world and explore its hidden treasures. In Panama City Beach, your options aren’t limited to adventures above the waves. Panama City Beach is renowned for its turquoise waters and its impressive variety of aquatic wildlife. Take dive lessons at the Dive Locker and become scuba certified. Whatever your level of diving experience, the ideal underwater adventure awaits. Plunge beneath the surface on a guided scuba tour where various marvels, natural and man-made, await you. Let experienced guides lead you through the wonders of sunken ships and limestone reefs. Get acquainted with the octopus, grouper, and other colorful wildlife that frequent our waters. You live life at full throttle and Panama City Beach can match your pace. Ride the Max Flight Simulator at Cobra Adventure Park and experience the “rollercoaster of the future.” Race into the Indy Speedway, make a break for the Slingshot, and feel the force of its patented spring propulsion at 100 mph. Want more? Blast off with the Vertical Accelerator at Emerald Falls Family Recreation Center. You’ll love Shipwreck Island Waterpark with its huge wave pool and thrilling water rides. Test your nerve with the White Knuckle River with 400 feet of twists, turns, and ending with a splash into Skull Island. Want a ride that changes each time? 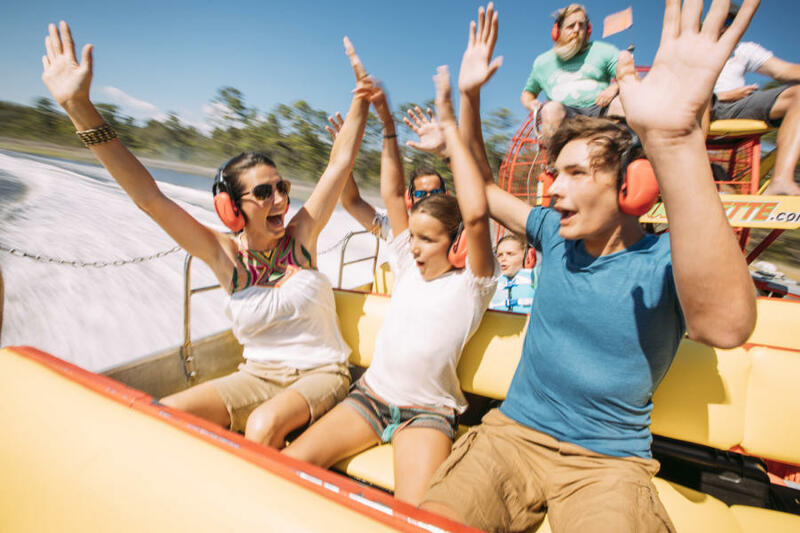 The Rapid River Run will carry you through an exciting white water adventure of quick rapids and waterfalls. Traveling with another adrenaline junkie? The Pirate’s Plunge Racing Slide lets you race your friends reaching speeds of 35 miles per hour. You’re known for your appetite for life, and nothing works up an appetite like a day of adventure. Luckily, Panama City Beach has you covered. 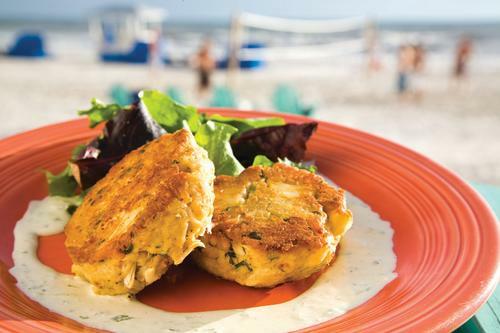 Indulge in fresh seafood at the award-winning Captain Anderson’s restaurant. Looking for something as unconventional as you are? Taste the spicy cuisine of Thailand at Ketana Thai or sample sushi at Firefly, the inspiring farm (and gulf) to table culinary experience. In Panama City Beach, the flavors are bold and fresh—just like you. 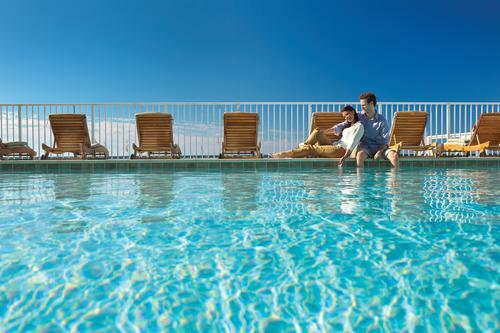 The accommodations in Panama City Beach are as diverse as the families who make PCB their beach destination. From spectacular campsites to Gulf-side condominiums, let us help you find your perfect vacation home! Enjoy a meal at one of Panama City Beach’s award-winning restaurants. It’s a tradition to dine early at Capt. Anderson’s and watch the fishing fleet unload. Dining under the grand old oak tree at Firefly will take your senses away to the outdoors at a Mediterranean bistro. Enjoy the breathtaking 25,000 gallon aquarium at Saltwater Grill. Boatyard restaurant has a personality all its own with dishes inspired by the flavors of Key West.